Cell Phones – Cellular phones of any kind that have an ITT Hound Cell chip that can basically track down the inmate’s location and position. Prison enforcement officers will record calls made by the inmates. 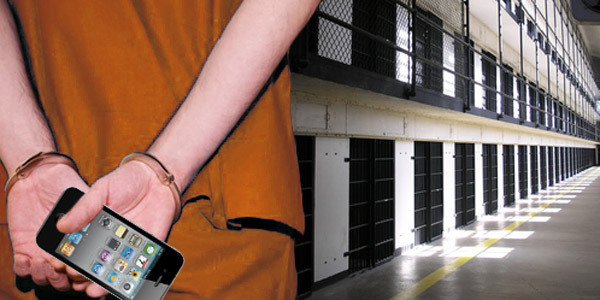 The term “contraband cell phones” are cell phones used by inmates to conduct illegal calls. Prisons – Prisons such as Federal Prison Camps (inmates serve labor or other services because of minor felonies or offenses), Federal Correctional Institutions (rehabilitation center for minor offenses), and medium security federal correctional institutions. Prisons that include high security level penitentiaries or death row inmates are excluded, due to the fact that currently in all states, cell phones are strictly prohibited in high security level penitentiaries or death row facilities. Cell phones could be used to monitor the location of prisoners within a prison facility. Products like the ITT Cell Hound can track all cell phones within a prison and display their location on a computer screen. In addition, with the ITT Cell Hound, prison enforcement officers can hear and record calls made by the inmate. This ensures that the inmates aren’t making any ‘illegal’ calls. Certain carriers, such as AT&T and Verizon Wireless, control cell phone connection in prison. Inmates who call families will be charged 10 cents per minute (Warden’s Advisory Group on Cell Phone Interdiction). According to the Louisiana Department of Corrections, one facility in Louisiana made 10.2 million dollars by having inmates pay for cell phone calls in a 3 year period ending in 2011. In addition, 64 other Louisianan facilities made 10.2 million dollars each as well. The total revenue in the mobile applications industry is expected to be $35 billion by 2014. According to a study by the Houston Chronicles, a whopping 90% of inmates with cell phones have purchased mobile “apps” that range from online books to games like Farmville and Angry Birds. This, in turn, can provide additional stimulus to the American economy. The purpose of low and medium security level prison facilities is to rehabilitate the inmates, not make their remaining lives miserable. The goal of using cell phones in prison is to have the inmates call their families, so that they have a connection with their families. The more communication and support from loved ones the more likely the inmate will succeed. The longer an inmate is incarcerated, the more likely support will be lost and success will not be found upon release. Offering continuous communication with loved ones will strengthen the bond that will lead to their success. It will help the inmate realize day to day the reason they must succeed as an inmate and then as a member of society. According to a study conducted by Texas Department of Justice, 85% of inmates who used cell phones to call families (calls were recorded because of ITT Hounds Cells) displayed good behavior and were released early. This shows that cell phones rehabilitate the inmates and makes them realize living with their families on the good side of the law is a better alternative than their other, darker choices. In Georgia, one inmate called his son everyday to keep in touch. Whenever the son went on a school bus, or just finished school, the father would always be checking on him. This case clearly demonstrates that the widely held stereotype that criminals would use their cellphones to conduct illegal behavior is obviously not necessarily true. The main reason that the proposition thinks that cell phones are such a big problem, indeed, a main assumption that their case stands on is that the reason cell phones are being smuggled is due to the convenience. However, this is not true, as statistics prove (look above), only a very small percentage of people do things that legalized cell phones will require. A vast majority of people use them for illegal things. And therefore, legalized cell phones won’t solve the problem of contraband cell phones. Right now, all cell phones are illegal in prisons. This means that if a cell phone is found, it is immediately known to be an illegal object. However, if the government passes out legal cell phones, the enforcement officers won’t have such an easy time. In Texas, a similar system was implemented where cell phones were permitted, provided that when the criminal was searched, the cell phone would have a chip integrated into it - unknown to the prisoner. While this plan seemed successful at first, the amount of cell phones captured dropped drastically. Although these seemed to be attributed to the successful plan, a March report on the system revealed that contraband cell phone numbers INCREASED by 10% due to the lowered capture rates,, and the system was already revealed by prison guards. The whole plan cost over $2 million in just one plant. According to Britannica online, there are four main purposes of having a prison: retribution, incapacitation, deterrence and rehabilitation. Retribution - pay back for the crimes; incapacitation - removal from society ; deterrence - prevention of future acts ; rehabilitation - reintegration into society. Cell phones don’t further any 4 of these. "It makes the very concept of the prison obsolete. It allows the person in custody to transcend the walls of the prison," said Martin Horn, the Former New York City Correction Commissioner. Not only do cell phones undermine incapacitation, allowing them to talk to whoever they want, access Internet from wherever, and still get prison benefits, such as free food, essentially renders retribution useless; they just get free lodgings and still have luxuries. This offers an incentive for poor people to go to prison. This defeats the purpose of having a prison.